I visited the Detroit Zoo a week or so ago. It was an extremely hot and humid day and the kangaroos were not active. 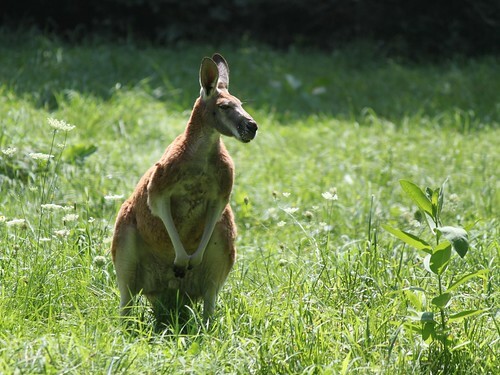 Today at the Binder Park Zoo, the kangaroos were hopping around! Cute fellow! Great composition as well!